Yesterday evening(May 23rd) Hayley Atwell, Philippa Coulthard and Nazanin Boniadi hit the black carpet for the For Your Consideration Event for Starz's 'Counterpart' and 'Howards End' at the Los Angeles County Museum of Art (LACMA) in LA. Hayley Atwell rocked an white SALLY LAPOINTE short sleeve top and sequin midi skirt which she accessorized with HEARTS OF FIRE jewelry, a JIMMY CHOO clutch and GIANVITO ROSSI sandals. Philippa Coulthard wore an MSGM green beaded embroidered top with a bow detail back and ankle length pants. While her black pumps got lost in the carpet, it worked with her look. A ponytail with tendrils and minimal make-up finished up her look. 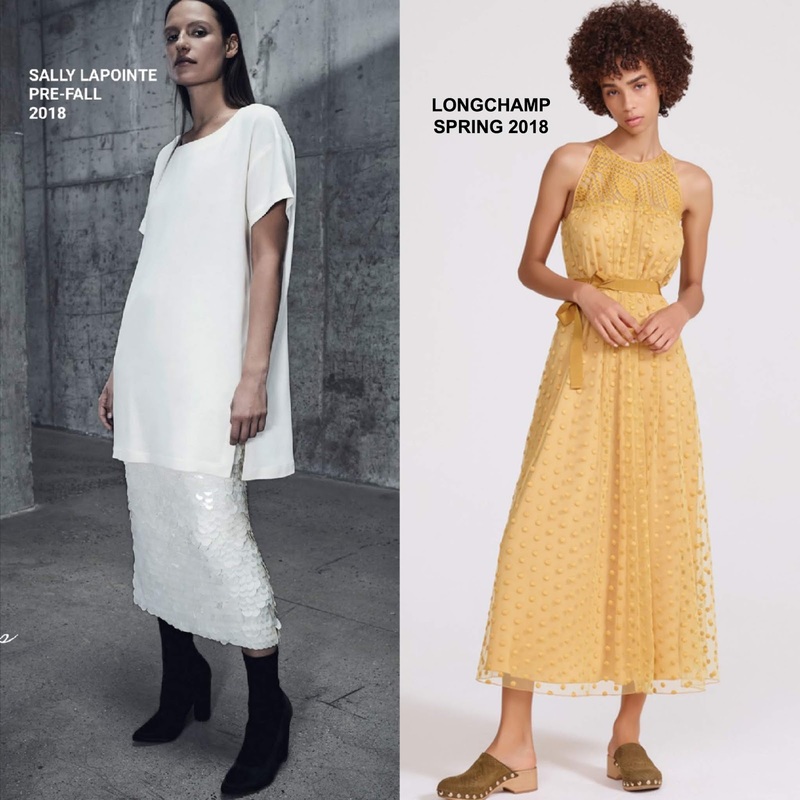 Nazanin Boniadi wore the LONGCHAMP SPRING 2018 'Saint-Germain' honey yellow embroidered tulle polka dot, layered dress with a belted waist. Keeping her look interesting, she accessorized with red pumps and a red JIMMY CHOO clutch. Love the styling of her look, she was my favorite here.